InstantCMS has been specifically developed for the creation of social networks and blogs. Kind of format involves dealing with many media files uploaded by users. Due to large number of non-optimized image files on webpages, the website performance slows down. Users may refuse visiting the projects with low loading speed. Optimization can be implemented by the OptiPic plugin. It will perform image compression for InstantCMS. Advanced algorithms provide almost double reduction in image size. Image compression plugin for InstantCMS operates in the background. It automatically searches for images on a website and processes them without affecting the system operation stability. Image compression in InstantCMS will speed up your website performance, and users will appreciate it. In addition, reduced webpage loading time improves the search results of a resource. Image compression plugin for InstantCMS is compatible with the most of hostings. How can optimizing images for InstantCMS speed up a site? 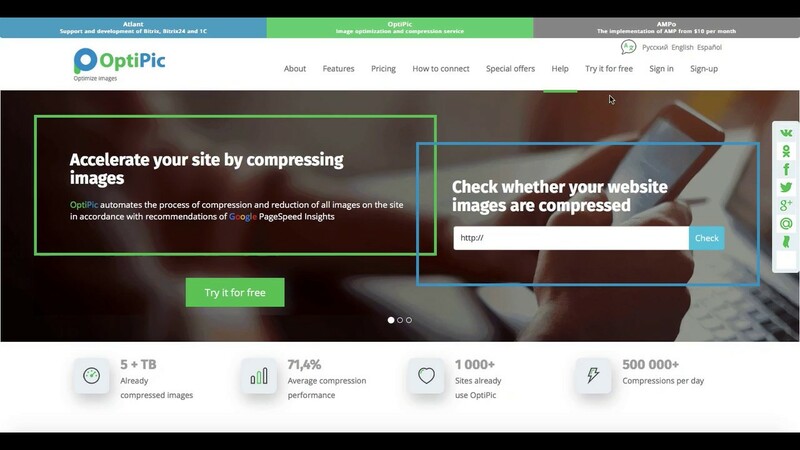 How to get started with OptiPic service for InstantCMS for image compression?